A truth is revealed in The Case Study of Vanitas, Chapter 36! Posted April 24th, 2019 by Brianna Madrigal & filed under NEWS. The truth behind the Beast of Geyaudan is finally revealed, and Chloe reunites with an old friend. Read the next chapter of The Case Study of Vanitas on the same day as Japan! Fruits Basket: The Three Musketeers Arc premieres! Posted April 23rd, 2019 by Brianna Madrigal & filed under NEWS. Let the games begin in Kakegurui, Chapter 63! A cornered Tsubomi is approached by Yumeko with a tempting offer that might just free her from housepet hell, but little do they know the voting war is just getting started…Read the next chapter of Kakegurui – Compulsive Gambler – at the same time as Japan! Posted April 22nd, 2019 by Brianna Madrigal & filed under NEWS. Goblin Slayer pays a visit to Witch’s acquaintance to have his ring identified. But the person he meets has a personality that is positively electrifying! Read the next chapter of Goblin Slayer Side Story Year One the same day as Japan! Posted April 19th, 2019 by Brianna Madrigal & filed under NEWS.  Yen Press x Funimation Fruits Basket Collaboration at Sakura Con 2019! Posted April 18th, 2019 by Brianna Madrigal & filed under NEWS. Before Ciel can get comfortable in the halls of Phantomhive Manor, he must sit down with Lizzie’s parents for a family heart-to-heart…Read the next chapter of Black Butler at the same time as Japan. Posted April 17th, 2019 by Brianna Madrigal & filed under NEWS. Posted April 15th, 2019 by Brianna Madrigal & filed under NEWS.